In recent years, the increased attention to wellness has caused a rise in short-lived spa breaks. “Work hard and play hard” could almost be the mantra of the age. Celebrate everyone and everything, and we couldn’t agree more. Which means, there are a plethora of reasons why you deserve a mini vacation. And you do! Your loved one deserves it. You are both owed a necessary break from the grind. A pause from the hectic and a change of atmosphere. A luxurious spa experience, teamed with some excellent dining in a stunning location is just about all you need to secure some much needed “me” time… but with a wealth of choice out there – it’s often hard to know where to start. Tel Aviv is home to many hotels in a variety of guises and locations but when it comes to finding one that ticks all the boxes, it’s The Norman spa hotel in Tel Aviv that provides guests with an intimate and unique experience with all the accoutrements . The rooftop infinity pool with an expansive view covering the White City all the way towards the Mediterranean Sea is located on the 3rd floor of the hotel along with the Wellness Area. The Wellness Area or spa at The Norman offers a wide selection of treatments and packages, open to hotel guests as well as outside visitors. At The Norman’s spa you can choose from a host of individualized massages and treatments delivered by a team of experienced therapists. You may combine a massage with essential oils for a full relaxing experience or land back down to earth with a stunning Jet-lag massage . Other options include accupuncture, cupping or reflexology after a long day of walking the magical city. If you want to surprise someone with the ultimate gift, you can select from one of the spa packages available at the luxurious spa. Packages including two 50-minute massages and drinks at The Library Bar or a package including two 50-minute massages, a buffet breakfast at Alena and two refreshing cups of Cava . The packages can be tailor made to suit your needs and budget but are guaranteed to make a special person feel ‘Wow’. Located in the heart of the White City UNESCO heritage site, the architecture has been loving restored retaining its original charm and beautifully blended with a contemporary Israeli art collection, dreamy furniture and an old-world charm. 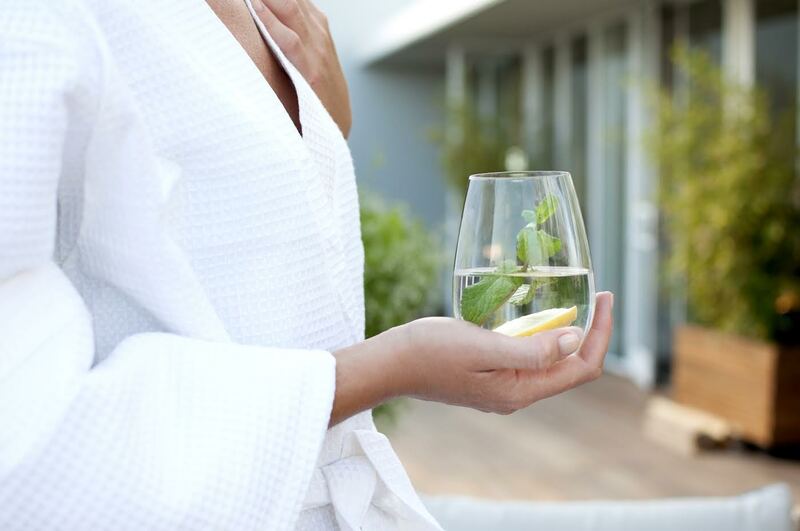 Spa breaks can include an overnight stay in the hotel when guests can take the time to leisurely enjoy two of its award-winning restaurants; Alena restaurant on the ground floor headed by chef Barak Aharoni and Dinings Japanese restaurant – serving Japanese tapas with a twist. Additionally, The Library Bar is the perfect spot for sipping a cocktail or a glass of wine while you figure out how you’re going to enjoy everything The Norman has to offer.